Natural Compound in Garlic Uses Epigenetics to Fight Ovarian Cancer | What is Epigenetics? Garlic has been used in food and as medicine since ancient times. Considered a superfood for its role as a health promoter, this small, pungent vegetable is widely used today to prevent and treat numerous conditions from the common cold to heart disease, cancer, and more. Now new research is confirming garlic’s medicinal ability, finding that it contains a powerful substance that acts epigenetically to halt the growth of ovarian cancer. There are numerous nutrients in garlic that are beneficial and one of its most abundant is an organosulfur compound called S-allylcysteine (SAC). This water-soluble compound has already been reported to inhibit proliferation and induce apoptosis in ovarian cancer cells. However, the exact mechanisms contributing to its antitumor efficacy are not entirely clear. To better understand how SAC reduces cancer cell progression, a group of scientists decided to investigate the epigenetic mechanism involved in the process. Their results were published in the Journal of Ovarian Research. Ovarian cancer is a leading gynecological cancer that affects more than 22,000 women each year. Unlike other cancers, there are no precise screening tests for OC and it can be difficult to detect in the early stages. For this reason and others, the prognosis for many ovarian cancer patients is poor. Rapid tumor progression, drug resistance, and high metastasis rates are common challenges with this disease, making the need for newer more effective therapies vital. More and more, natural compounds from food are being investigated as potential anticancer agents. Garlic has been singled out for its numerous uses in preventing and treating several different ailments including diabetes and cardiovascular diseases. Large-scale studies in the past decade have also suggested a strong correlation with garlic consumption and reduced incidence with cancer. In particular, SAC in garlic has shown to be effective in reducing gynecological cancer growth. Therefore, knowing more about this substance could be helpful in treating ovarian cancer, as well as other types of similar cancers. 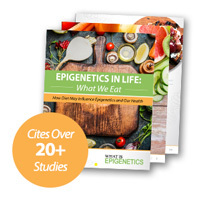 Epigenetics is the study of DNA modifications that affect gene activity but do not change the genetic sequence. DNA methylation is the most characterized epigenetic mechanism and it occurs when methyl groups are added to the DNA molecule. This process is controlled at various levels in a cell and is carried out by a group of enzymes called DNA methyltransferases (DNMTs). DNMT1 maintains DNA methylation patterns, while DNMT3a and 3b mediate the establishment of new DNA methylation patterns. DNMT1, which is highly transcribed during the synthesis phase of the cell cycle, can also interact with RNAs to block gene-specific DNA Methylation. Several studies have reported that defects in DNMTs are associated with tumor transformation and progression. Plus, drugs that act as DNMT inhibitors (or demethylating agents) have been used successfully to treat certain types of cancer. Previously, the researcher demonstrated that SAC was capable of inhibiting cell proliferation when administered to the human ovarian carcinoma cell line A2780. In this study, they measured the global DNA methylation levels of A2780 after treatment with different concentrations of SAC. For positive control, the cells were treated with a potent DNA demethylation agent (5-aza-dc). They also measured the activity of DNMT in the cells after SAC treatment, as well as the quantitative mRNA analysis of various DNMTs and tumor suppressor gene CDKN1A. Furthermore, they determined that SAC affected cell cycle regulation in the A2780 cells by reactivating mRNA expression of CDKN1A, a tumor suppressor gene. This caused cell cycle arrest at the in G1/S phase, or the starting checkpoint of cell division. Overall, the study confirms SAC’s ability to reduce ovarian cancer cell growth and indicates its epigenetic mechanism of action as DNA methylation through DNMT1. It also demonstrates DNMT1’s effect on A2780 cell cycle regulation. While further investigation is needed to identify the detailed mechanisms involved here, the data does imply that SAC has the potential to be a potent anti-cancer drug – one that might work well in combination with other chemo or radiation therapies. Source: Xu Y et. al. (May 2018). S-allylcysteine suppresses ovarian cancer cell proliferation by DNA methylation through DNMT1. J Ovarian Res. 11(1):39.